Firstly, you'll need your tool box.. 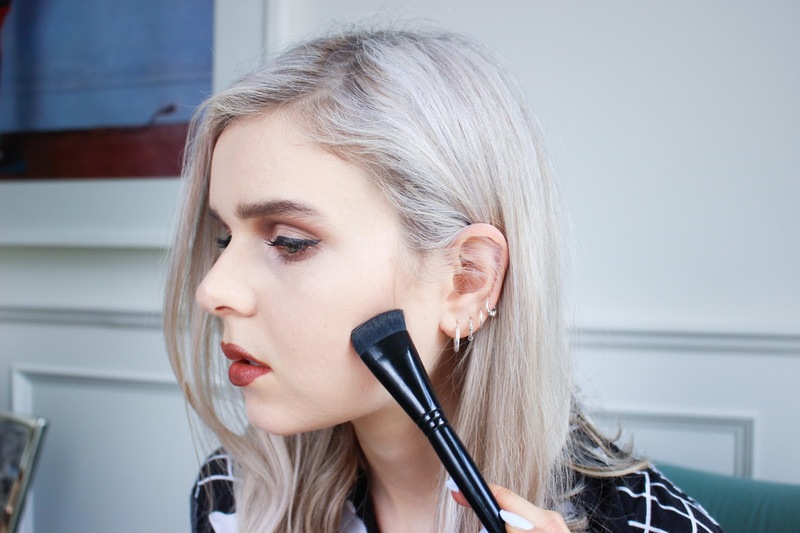 Invest in a good brush to apply as it doesn't come with any applicator - I'm using Illamasqua Blush Up Brush for contour, it's brilliant.. soft but dense and it really gets into the cheek bones! I use this for both strong and not so strong contouring . 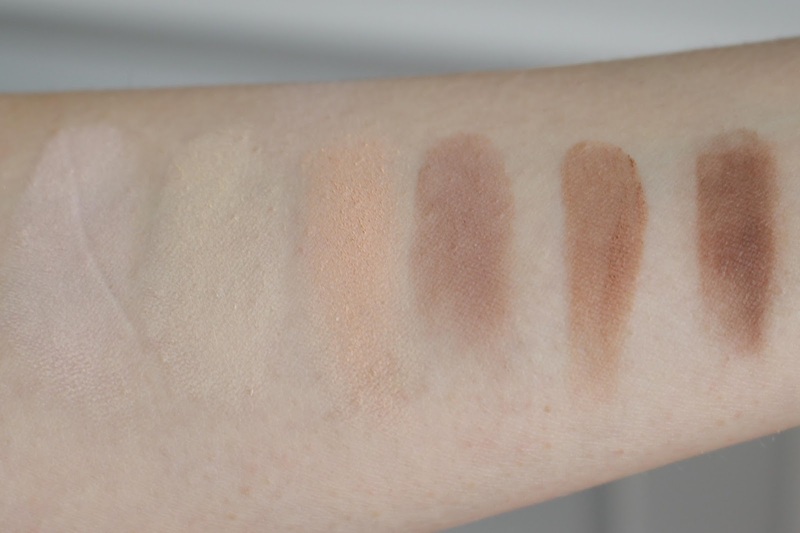 Especially the darker shades, the swatches below are one wipe swatches to indicate their pigmentation. They're quite buttery for powder which I love and I also like that that they are smudgey and not stubborn in terms of blending. 5 shades in cool and warm shades. 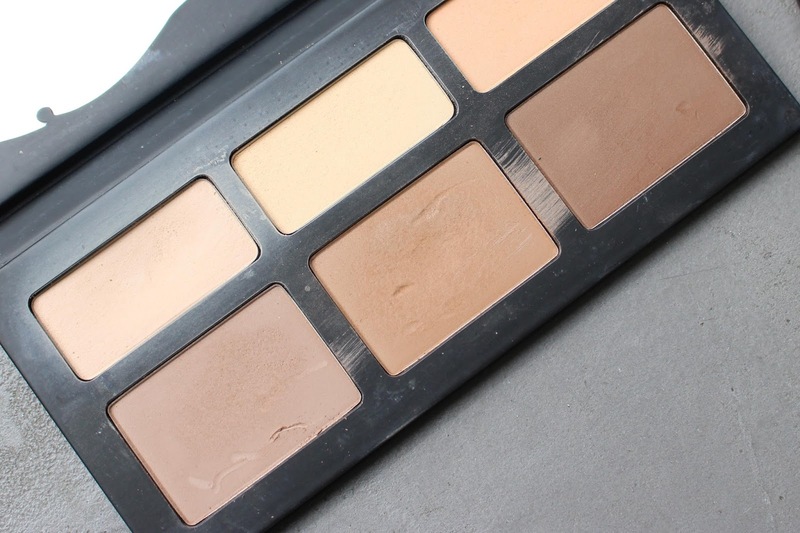 Whatever your skintone, this palette has got you covered.. For me I use Lucid for the top of my cheek bone which is fair and neutral and Sombre, a cool toned contour. These are my basic every day colours but I'll play with Shadowplay for warmth and deep contour sometimes and Levitation for a little blush. 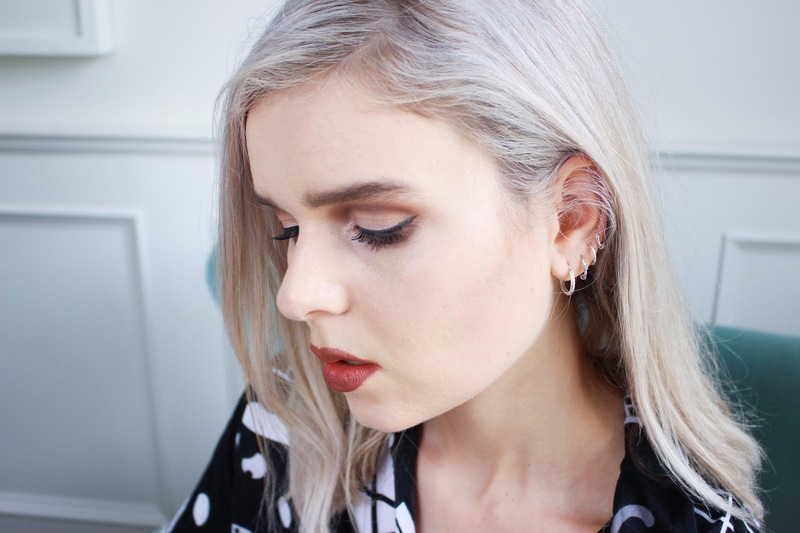 Subconscious is yet to be used but I'm sure it can be used as an eyeshadow as I've been using Sombre as a shadow sometimes! Lyric is yellow toned and it's great to have the option there. 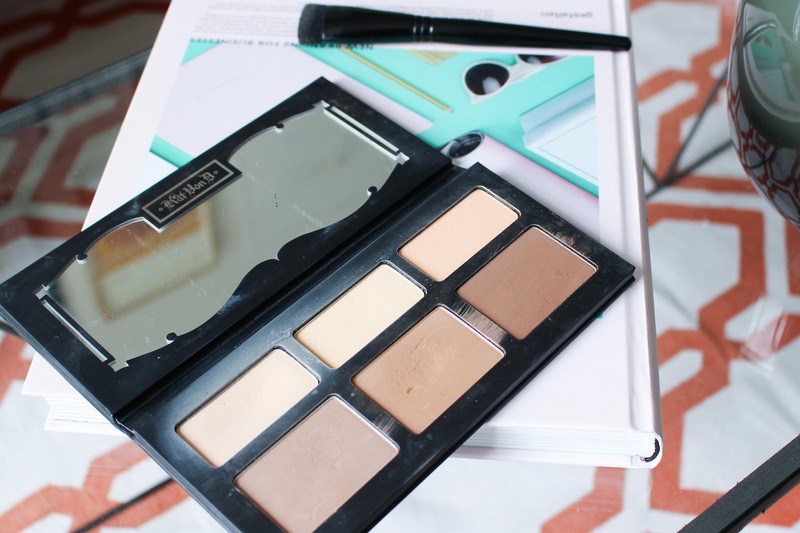 A palette worth investing in! I'm definitely pleased I decided to buy this palette.. I was quite skeptical as I'm not big on contour as you can see from the final picture but I do play around with it and like it to be an option. When I build on my usual Hoola Benefit Bronze it becomes more orange the more you apply and with the Shade and Light I have the option! 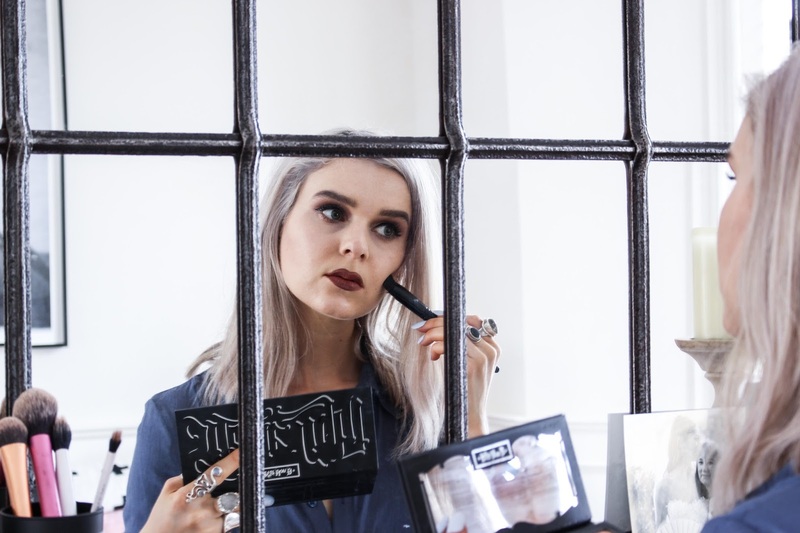 I'm excited for Kat Von D's range to hit the UK as I also bought the Kat Von D eyeliner ink and as soon as I applied it the next day after leaving Sydney I wanted to cry because I hadn't bought more! I'm yet to try her lipsticks so they're on my list but for now I couldn't be happier with this palette! 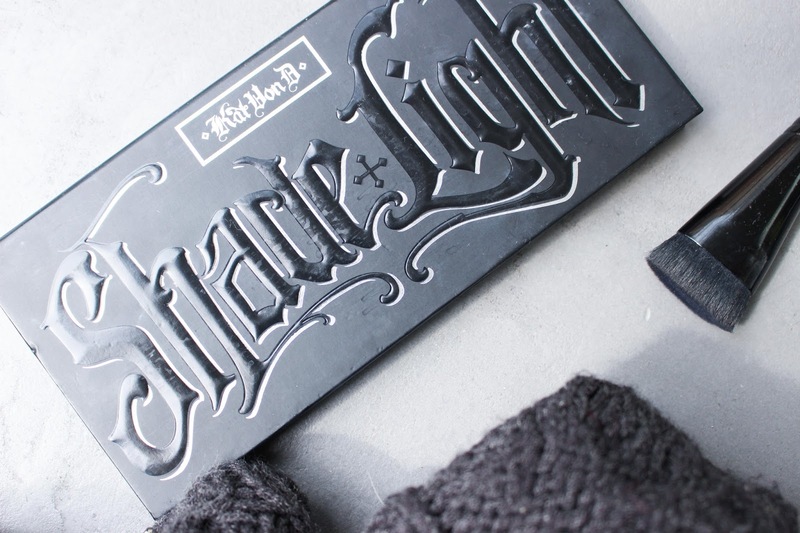 3 words, Versatile, affordable (for a contour palette) and generous (you get a lot of product for your money, the palette is a decent size and definitely going to last. All in all, a big thumbs up from me!